Thank you so much for reading my posts and sharing with me. Last year had its up and downs for me but with help I started this blog. I had some major breakthroughs in my health situation where I once more discovered that slow is the way to go for me right now. Next year, if the LORD will, I have a few surprises in store and all of it to do with scripture, cause I just LOVE the Word. 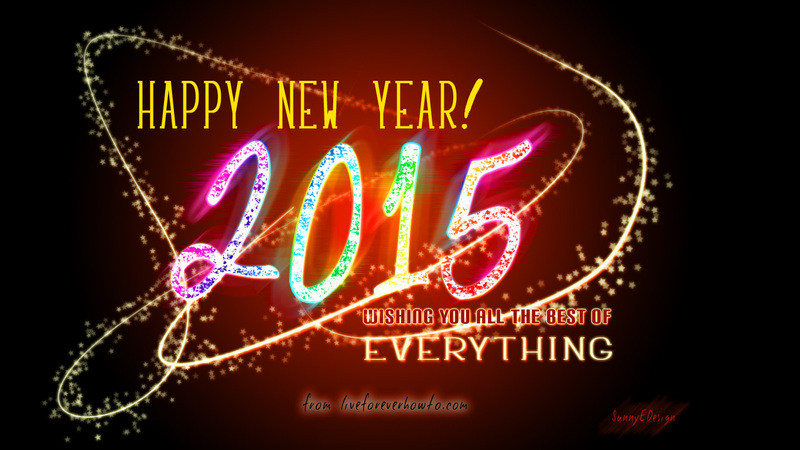 I sincerely wish and pray that only good may come to and from us all in 2015. Feel free to share the cheer around. My helper designed this e-card especially for us and our friends. May you all be extraordinarily blessed and live forever!